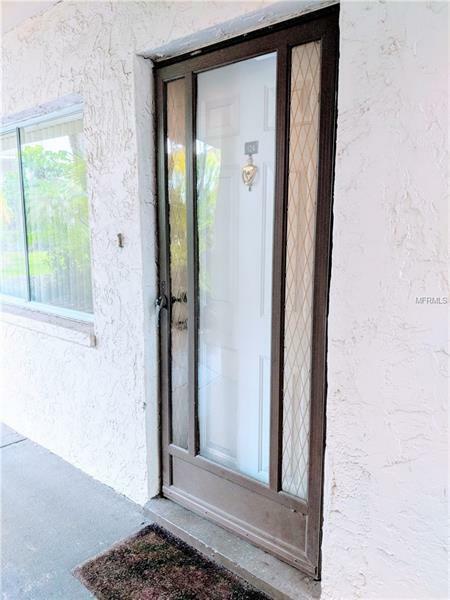 Come check out this well maintained, ground floor, corner unit condo with upgraded A/C & appliances, newer Maytag washer & dryer included in the very desirable Lakeside Village Condominiums.This home has 2 bedrooms, 2 bathrooms, and a screened in lanai.It also has a new 2015 HVAC system, 2015 refrigerator & stove are included in the sale. The community boasts a swimming pool, lakeside dock, tennis court, clubhouse, grilling area, local fishing and even a car wash area. Call to schedule an appointment today. This home won't last long.